Bull et al. (2008) suggested several barriers to bridging informal learning and participation in the Web outside of school with learning in school settings. These constraints include specific learning objectives; time constraints; increase in classroom management complexity, which often accompanies technology integration; prior investment in and commitment to print tools; limited models for teachers on how to facilitate students’ learning with interactive technology; and limited research to guide best practice. In considering how we might bridge the gap between formal and informal learning, I suggest taking a closer look at three of these constraints: learning objectives, lack of practice models for so-called “digital immigrant” teachers, and research-based guides. I offer three corresponding recommendations. Greenhow, C. (2008). Connecting Informal and Formal Learning Experiences in the Age of Participatory Media: Commentary on Bull et al. (2008). Contemporary Issues in Technology and Teacher Education, 8 (3), 187-194. Waynesville, NC USA: Society for Information Technology & Teacher Education. Retrieved April 19, 2019 from https://www.learntechlib.org/primary/p/29475/. Gratton, L. (2007). Hotspots: Why some teams, workplaces, and organizations buzz with energy– and others don’T. San Francisco, CA: Berrett-Koehler Publishers, Inc. Greenhow, C. (in press). Who are today’s learners? Learning& Leading, 36(1),10-11. Greenhow, C. (2007). What teacher education needs to know about Web 2.0: Preparing new teachers in the 21st century. In C. Crawford et al. (Eds. ), Proceedings of Society for Information Technology and Teacher Education International Conference 2007 (pp. 1989-1992). Chesapeake, VA: American Association for the Advancement of Computers in Education. Kaiser Family Foundation. (2005). Generation M: Media in the lives of 8-18 year olds. Menlo Park, CA: Kaiser Family Foundation. Norris, C., Sullivan, T., Poirot, J., & Soloway, E. (2003). No access, no use, no impact: Snapshot surveys of educational technology in K-12. Journal of Research on Technology in Education, 36(1), 15-27. Rich, M. (2008, July 27). Literacy debate: Online, R U really reading? New York Times, pp. 1, 14-15. Roblyer, M.D., & Knezek, G. (2003). New millennium research for educational technology: A call for a national research agenda. Journal of Research on Technology in Education, 36(1), 60-76. Sheehy, G. (2008, August). Campaign Hillary: Behind closed doors. Vanity Fair, 79-86. Spires, H.A., Lee, J.K., Turner, K.A., & Johnson, J. (2008). Having our say: Middle grade student perspectives on school, technologies, and academic engagement. 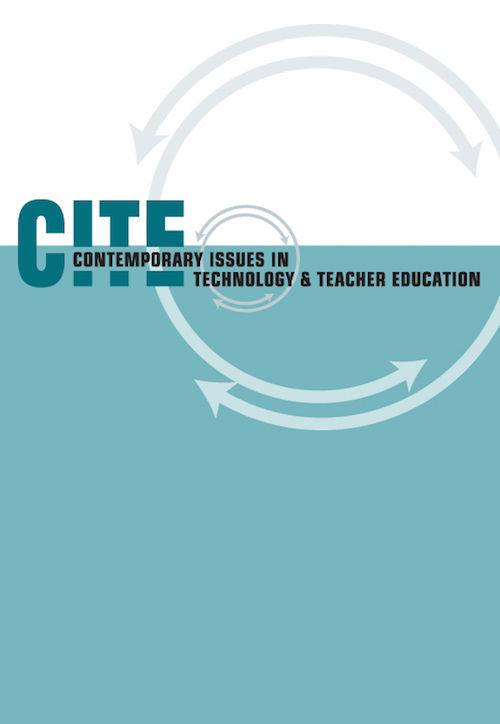 Journal of Research on Technology in Education, 40(4), 497-515.